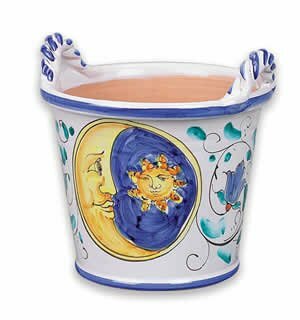 Add a touch of Sicilian artistry to any garden with this ceramic flowerpot. Pairs well with the TZ742M and TZ772S. Handmade and handpainted in Santo Stefano, Sicily. If you have any questions about this product by Terrazza, contact us by completing and submitting the form below. If you are looking for a specif part number, please include it with your message.